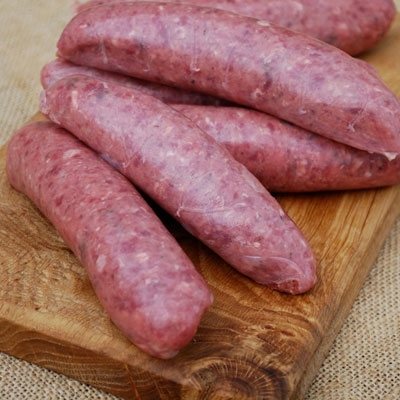 6 x Sausages handmade by our butchers, our venison sausages are made from 80% lean venison meat. They are perfect for BBQ, casseroles or even a traditional toad in the hole. Our sausages are succulent, rich and tasty, lower in fat than other sausages.